Paid Search/PPC remains to be a super targeted approach to online marketing. As a result when choosing a Google Adwords management company you need to consider many factors. Our trained team of certified Adwords management company experts have extensive knowledge in managing PPC programs. Most of all our industry experience has exposed us to many client verticals. Large and small media budgets (We know how to maximize your $$$) With one goal in mind. GROWING YOUR BUSINESS! Our Adwords management company approach is rooted in driving highly targeted traffic to your website. This targeted traffic coming to your site is what we turn into converted sales or a qualified leads for your business. In order to do this Island Digital Marketing takes highly to a granular Adwords account structure, tightly themed ad groups and ad copy specific to the users search query. Furthermore we also ensure that we adhere to all paid search and search engine best practices. As a result we maximize the real estate on the search engine result page for our clients. In addition boosting the quality score of each keyword in every Google Adwords account we manage. Google Adwords and PPC allows for your site to be present and visible for targeted search queries. Our Adwords management company strategy allows for a high degree of control with unique desktop and mobile strategies. At Island Digital Marketing we manage every aspect of your Google Adwords account. From researching and selecting keywords, to creating unique and targeted ad copy. Most importantly Island Digital Marketing is with you all the way through to continuous analysis and optimizations. Furthermore, we do not use a set it and forget it Google Adwords management approach. We are constantly optimizing your Adwords account, refining our Adwords strategy based on user behavior to drive the most efficient results. Since more traffic coming from mobile devices we know having an Adwords strategy by specific device is key. 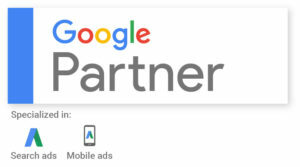 At Island Digital Marketing we are desktop, tablet and mobile experts and work to maximize the performance of your mobile Google Adwords campaigns. By utilizing highly-targeted search techniques we help to increase conversion rates (CVR) on mobile devices to reach and exceed your sales goals.